Shannon Bachorick is skeptical but optimistic in light of a report released Thursday offering nine recommendations to the provincial government about the future of multiple sclerosis (MS) care in Saskatchewan. On Bachorick’s first Mother’s Day in 2011, when her son Callum was three months old, she went blind in one eye — her first symptom of MS, though she didn’t know it at the time. Her optometrist referred her to an ophthalmologist, who brushed her off — which is why she supports the recommendation to educate health-care professionals about MS.
“The ophthalmologist was like, ‘You don’t have any problems with your eyes so it’s not my problem anymore.’ He could have been a lot more helpful at the beginning,” said Bachorick. Bachorick is hopeful these recommendations could improve things for MS patients in the province. He was on the 11-person panel — which included MS patients, caregivers, researchers and health-care professionals — appointed by the Health Ministry in July 2014. 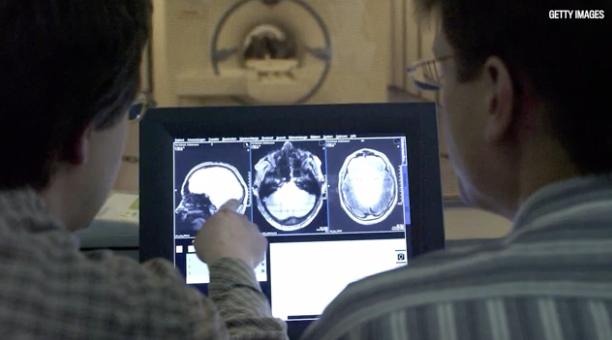 The MS Society estimates at least 3,500 people have been diagnosed with MS in Saskatchewan. Patterson, who was diagnosed in 2000, also serves as a peer counsellor at a Regina neurology clinic. He says there are good neurologists who are doing what they can, but it’s hard to keep up. As a result, there’s a delay in diagnoses. The government has already committed to implementing an MS patient registry, which Patterson said will be a boon to researchers. “In Saskatchewan, we claim to have the highest incident rates of MS; well, we’re a gold mine for research but they have no way to reach us,” he said. “It’s very encouraging,” agreed Erin Kuan, president of the Saskatchewan MS Society, which served as a resource throughout the consultation process. Improving research capacity will provide “real robust hope to people living with the disease,” she said. “We want things to look differently day to day for people who are living with MS,” Kuan added — and in that case, recommendations for further training for health-care workers and assessing rural care will be beneficial. “We’re very serious about following up on these recommendations,” said Health Minister Dustin Duncan. Cabinet has committed to proceeding on two “in very short order,” said Duncan, pending the budget process: Establishing an advisory council on degenerative neurological diseases, and creating a registry of Saskatchewan people diagnosed with MS.
As for the others, “It’s really going to be a matter of juggling competing priorities” in future budgets, said Duncan. Patterson sees it another way: “It sounds expensive, but it’s not, because we have most of the stuff in place now, we’re just not using it the way we should be,” he said.